3 Action on empty shops and buildings. I firmly believe that Cornwall Council ought to do more to support Penzance Town Centre and these 3 changes would be a massive leap forward. 1. Action on Parking Fees, Penzance has some of the highest parking fees in Cornwall, we all know that it puts people off coming to town and crucially shoppers from staying for longer periods. With out of town retail parks popping up everywhere and the lure and convenience of the internet our town centre needs help. Cornwall Council must do it's part in supporting the town centre. Penzance needs a Cornwall Councillor that will lobby to change this and find a solution that benefits us and stops CC seeing Penzance as a way of making money. We need to see a major overhaul of parking pricing in town, not yet more charging as the current Liberal Democrat/ Independent administration had planned recently. 2. Action on Business Rates. Rates are a massive obstacle to doing business in Penzance Town Centre. It's not a fair system and it's one that greatly benefits large chains and out of town stores and penalises the beating heart of the local economy; small and medium enterprises. I heard various Conservatives talk about non-domestic rate reviews during general election debates 2 years ago, now is time to see some action. Pressure needs to be put on government to review how business rates effect town centres and simply there needs to be a reduction in how much smes are charged. Business rates are decided by central government but Cornwall Council can lobby for change and I would join with other councillors, local businesses and other organisations to call for this change. 3. Action on Empty Buildings, we need and deserve a vibrant town centre and empty, crumbling and frankly derelict buildings are a major obstacle. There are a range of powers that Cornwall Council has to deal with this problem but they're seldom used. 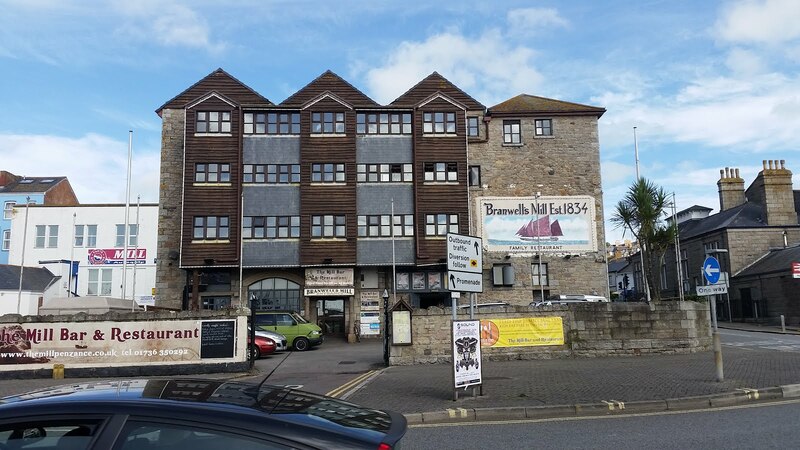 Pressure needs to be put onto absentee landlords to be responsible for the properties in Penzance Town Centre. We all want a town centre we can proud of, we need a Cornwall Councillor that will push for this. Penzance Town Centre is a vital asset for this town we are one of the biggest shopping destinations in Cornwall. We need more focus from Cornwall Council in this town, they are taking much more than they are giving, this needs to change. These are 3 simple actions, that I believe would turn around this town centre, please vote for me, Rob Simmons, on May the Fourth. This blog intends to illustrate some of my work for Penzance and to show the kind of issues I have supported and argued against, over the last few years. In this time of great political turmoil and with Brexit looming large on the horizon, it is more important than ever to have representatives that will stand up for issues, knows how to campaign effectively and gets things done. There are 2 sections below; 1 being an effective councillor and 2 standing up for local issues, these are the reasons why I think I am a very credible Cornwall Council candidate and why with a greater platform I could be more effective in making things happen. This is only a glimpse of my work for Penzance East, please read some of my older posts for more and as always any questions or comments find me on twitter @cernyw or drop me an email robscornishblog@gmail.com. I was elected onto Penzance Town Council back in 2013, when I also stood for Cornwall Council for Penzance East. I was elected as Vice Chair of the General Purposes Committee at my first meeting and held that post for 2 years, I was then elected Chair of the same committee. In this time I managed meetings, held agenda setting meetings with officers and chased up items. A big part of that committee was Christmas Lights and I was pleased to be one of the councillors pushing for the town council to provide lights for Causewayhead, the Causewayhead traders had previously funded their own lights. I also chaired meetings to organise the festival that went with the switch on and working with the Chamber of Commerce, Causewayhead Traders Association, Chapel Street Traders Association and Penzance BID. It was also through this committee that the town council condemned plans to close Penzance Police Station front desk and wrote to the Police and Crime Commissioner asking them to reconsider. I have supported devolution at every turn on the town council, although I've been reluctant to do so when there was an undue burden on the rate payers of this town, lobbying instead for a better deal from Cornwall Council, some of this is covered in my last blog here. I supported the devolution of Jubilee Pool and welcomed the chance to regenerate the great seafront of Penzance. I joined with town councillors in opposing the closure of the post office in town and the closure of Poltair Hospital. I've been the sole councilor to keep arguing against the use of glyphosates in weed spraying, unfortunately unsuccessfully... so far. Superfast Broadband, I've always seen the benefits of faster and more reliable internet and welcomed the introduction of fibre- optic broadband. However as Cornwall Council and BT were proclaiming the success of the scheme a number of businesses in the town centre approached me about the lack of progress for properties directly connected to the exchange, months past the scheduled completion date. Superfast had been rolled out outside the town centre but not within it. I quickly took up the challenge of this and spoke to a great number of businesses in this ward and found out that it was a great problem for many of them. BT at the time were trying to figure out how to connect the town center and were looking into frankly compromised solutions such as satellite, which would not deliver the same quality and speed as fibre. Thanks to the pressure of local businesses, the Cornishman and the town council, superfast broadband is now here in the town centre. One of my proudest achievements on the town council (so far) was to bring the idea to councillors that the authority become a Living Wage employer. With the unanimous support of councillors we did so in 2013 and I hope, set an example to other employers that fair pay is not only just and right but it also helps to get the most out of employees. It was very pleasing to see Cornwall Council follow suit especially as a lot of their workers, particularly in health and social care were paid well below the Living Wage. I got into politics as I was frustrated with the state of politics and matters like: the lack of affordable housing, centralisation, Cornwall's under-performing economy and the abject lack of (actually) affordable housing. These problems and the realisation that politics could work better for the people of Cornwall still drives me today. Back then it made me become an activist and I quickly realised that social media and blogging was a very useful way of reaching large audiences and agitating for change and lobbying the people in charge. It was through blogging that I first appeared in the media. Well before I was elected I was featured on the BBC Inside Out programme, talking about the gaps in the various affordable housing schemes, introduced by the coalition and although the equity schemes were very good eligible properties were so few and far between and there were none in Penzance at all. Affordable housing is a key thing that needs to change and although there have been a few increases in affordable housing availability in Penzance East recently, much much more action is needed. Wavehub and it's potential was always one of the projects that I always admired, there is obviously great opportunity for more renewable power in Cornwall and looking to the sea to generate power again is obvious. But I felt a great sense of frustration that the coalition government quickly centralised its management but did not want to seem to do anything with it and sat on their hands. So I wrote to the minister then in charge of it Vince Cable enquiring as to what the hold up was with the aim of giving them a kick up the jacksy. The local media picked up on the story and was featured widely, including myself on the tv, this did prompt some action from the government and eventually Wavehub was devolved back to Cornwall and is now up and running trailing renewable devices and we are now back on the front foot with green energy and innovation. Cornwall Council's privatisation plans, back when the Tories and Independents were in charge, they dreamed up a Shared Services scheme with BT. I argued and argued against this and promoted the petition that was massively successful. However a slimmed down scheme was introduced, the joint Cornwall- BT scheme however was destined for failure after legal action by CC it was stopped and services, rightly brought back in house. I think I would be a good Cornwall Councillor. I care about this area, I am passionate about change. I know how to be an effective councillor and work with various groups, businesses, residents and other councilors. I know how to get issues that other parties don't want to talk about onto the agenda and I know how to get a big platform through the media and otherwise. Please consider voting for me on May the Fourth and give me a a better chance and a bigger voice to lobby for change, thanks for reading. Below is a post from the Mebyon Kernow facebook page https://www.facebook.com/MebyonKernow/, check it out for more of the policy pledges that MK is fighting this election on. 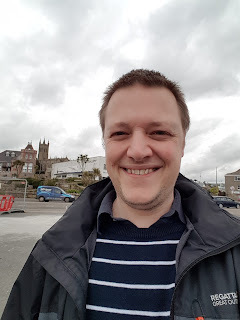 This is a blog about why I'm standing for Cornwall Council for Mebyon Kernow- The Party for Cornwall for my home area the Penzance East division. I just wanted to outline a few reasons why I think I'd be a great Cornwall Councillor and I think I could do a lot of good for this town. In this blog mostly focused on the relationship between Cornwall Council and the Town Council, check back for more posts soon. Unfortunately I haven't been able to fight this election in the way in which I'd hoped, my wife's father was very ill for the last few months and sadly passed away on Easter Sunday. My thoughts and attention have obviously been with my wife and my family at this trying time. I mention it, not because I want some form of sympathy, I just wanted to be clear that I've not been as active as I'd like to have been and planned to have been this year. Firstly, I had anticipated fighting 2 simultaneous elections on May the Fourth both to Cornwall Council and for re-election to Penzance Town Council. Luckily for me, there will be no vote in Penzance East for the Town Council so I'm de facto re-elected, which I'm obviously delighted with. However I think it's a great shame that there wasn't more interest in the election for the Town Council, there needs to be elections in every ward. I think it's rather telling that there are 6 candidates for Cornwall Council for Penzance East from all of the parties (Joseph Bennie Conservative, Jonathan How Green, Tim Dwelly Labour, Richard Goedegebuur Liberal Democrat, Mebyon Kernow and Paul Nicholson UKIP) but there were only 4 standing for the town (Future for Penzance, Green, Labour and MK). This is partly due to the fact that only the Green candidate and myself are standing for both and we are the only 2 Cornwall Council candidates that actually live in Penzance East. Interestingly last time there was a Green candidate (elected) 2 Lib Dems (1 elected 1 not), a Labour candidate (elected) a Tory (not elected) and a Future for Penzance candidate (not elected). Both Tories and Lib Dems don't have a candidate for the town council for Penzance East this time. Penzance Town Council is growing in importance, the budget increases year on year the amount of services we provide is massively increasing (weed spraying, CCTV, public toilets etc). As austerity continues and as Cornwall Council's main approach to this is devolution, it is up to the town council to either stand by and watch CC drop these services or catch them. Inevitably the importance of Cornwall Council to Penzance will diminish and it's easy to see that the town council will scoop up most of what Penwith District Council used to do. This is to be welcomed, even if it means slowly un-ravelling the great centralising mistake of unitary in 2009 by the Lib Dems. Devolving services to the lowest possible level is the best approach in my opinion but the town needs more people engaged in the town council and although a lot of great work has been done in the last 4 years PZTC needs to continue to improve. We need to be at a a stage where the town council is just as important as Cornwall Council come election times and to the political parties. It's my belief that Penzance East needs a Cornwall Councillor that is also a town councillor to provide more local input and to work better together for the good of this town. On a practical level, it would really encouraging to see the next Cornwall Councillor (and this goes for all of Penzance) engaged in the devolution process between the 2 authorities rather than standing idly by. The failed devolution bid for the Jubilee Pool is a prime example of this and how much work needs to be done to get the 2 councils around the same table on equal terms. This is just one example the story of devolution for this town again and again, PZTC has been eager to take over facilities that are in good order and with some form of funding to cushion the blow to Penzance ratepayers but this seldom happens. 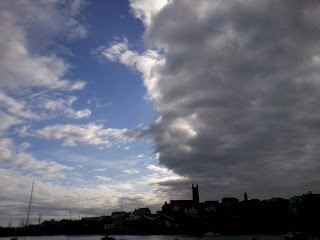 Cornwall Council's parking plan for the town is another great example. 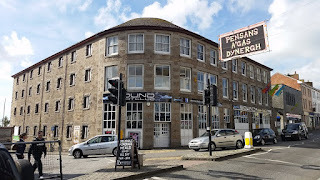 Penzance is a town centre that needs cheaper parking and there are problems (caused in some way by expensive parking in CC car parks) with residents parking. Anyone that lives in this town will tell you that these are the 2 problems and they need fixing. CC plans didn't go anywhere, as nobody was really happy with them, nobody felt they addressed the issues and they were widely seen by people as an attempt for Cornwall Council to make yet more money from people parking in Penzance. Unsurprisingly PZTC voted to oppose these plans. Now we're back to square one and still problems with residents parking. It is clear that local input was wholly lacking throughout this whole process. What we need is to send someone up to Truro that will fight our corner and explain to the great and good at CC what this town wants and convince them that talking to the town council and working with us, will produce better results and actually fix problems. In the next 4 years the devolution agenda will continue and we need a strong voice for Penzance at Cornwall Council to get this town a good deal. The 2 councils need to work together better on devolution of services and for decision making in this town. If elected as Cornwall Councillor for this area I would work hard to build bridges between the 2 authorities and not shy away from the difficult work that this would entail. It is for the benefit of Penzance that our voice is heard at Cornwall Council through press releases and public statements but also and importantly in meeting rooms, negotiations and the business of administering and managing the public services of this town. As many of you will have read online and in the local papers. 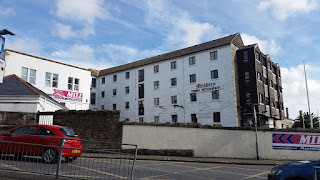 Premier Inn are interested in setting up a hotel in Branwell's Mill in Penzance. Last night members of the Town Council were invited to a presentation by the agents from the hotel chain in St John's Hall. The Town Council rightly has a clear position that it is neutral on this development. Due to Code of Conduct rules and particularly Section 25 of the Localism Act, councillors must not enter debates with a closed mind. Or to put in plain terms the council and councillors can not be seen to have made a decision before the meeting and before they see the facts before them of that meeting. As with any planning application in the parish of Penzance it will be reviewed, debated and voted on by Penzance Town Council Added to the fact that I've seen a presentation for the developers but not been able to speak to hear other sides of the story. This post is primarily to inform yourselves of what is happening rather than give an opinion or discuss and analyse the case for or against. To give the facts and figures as presented last night. They are looking to present a planning application in July, with the hope of finishing construction and opening in last 2017 or early 2018. The plan (at this stage at least) is to have a 61 bedroom hotel with a 55 cover restaurant. Construction works, over all seem to be to keep the existing structure with internal modifications. The timber window bays are to be removed and there will be a small single floor foyer/ lobby constructed at the existing entrance pictured right. They did assure the meeting that they are working with Conservation Officers at Cornwall Council on plans. The hotel's agents told us that the development would represent a £6 million investment. That the site would probably employ 16 full time equivalent posts. They seem confident that there is adequate demand in the town for another hotel and point to their research that shows that nearly 17,000 searches were made for Penzance on the Premier Inn website in the last 12 months. They claim that the knock on effect of having the hotel for the town would equal £1.95 million a year. Obviously a great deal of this is early stages and it is in the pre-application stage. Obviously more will be known then. Although as I stated above the Town Council does not formally have a position there were a number of concerns raised by members about issues such as the knock on effect to existing businesses, parking (as the hotel is not planning on providing any) the poor pedestrian access to the site and the fact the building is both prominent and in a conservation area amongst other things. This is a significant development for the town and in a very significant area definitely one to watch with interest. Any thoughts or views please don't hesitate to get in contact. There's a great deal to not like about the European Union. I'm not a defender of everything it does and the way it conducts itself. But I can say the same about a whole host of institutions and authorities. Which is why this post focuses on a few of the things I think are important. I think the European Union is fundamentally a good idea. For 2 principle reasons, 1 the formation of the EU and greater European cooperation and understanding has led to the longest period of European peace in recorded history. If the history of Europe tells us anything then we are better off working with each other than we are fighting each other. I know that the EU will continue to exist if the UK votes to leave on thursday and I know that this peace will remain either way. Nevertheless the UK is better putting its weight behind the EU and not turning our backs on it and its members. Secondly one of the driving force behind the formation of the EU was to work together and have a bigger voice in the world. The context decades ago was the Cold War and the desire to not be underlings of the 2 superpowers. But it still has great relevance today. As the course of history unfolds and we move further from the times in which European states held great empires and great influence over the world, it is clear that Europe is not the political powerhouse it once was. With the rise of places like China, India and Brazil it is clear to see that there is strength in numbers. That the EU is more influential in the world than the sum of its parts. There is, perhaps predictably, a lot of uncertainty about the economic effects of leaving the EU. Like everyone else I don't have a crystal ball. I can't say for certain that the UK will be better of worse off with staying or leaving. However I do know that the economic benefits of the European Union, such as free trade and free movement of goods and services are a good thing. The fact is we trade most with our neighbours and doing so without the bureaucratic hindrances of import and export taxes, visas and work permits etc that the EU allows us, is good for business. One of the great uncertainties about leaving is how will international trade and its administration, look after Brexit? For Cornwall though, the situation is very very clear, we will be worse off after Brexit. The fundamental nature of the UK is a centralised state and as such spending is prioritised from the centre and outwards. However EU funding has counteracted this pattern. Which is why it was the EU that stepped up and funded the Goss Moor A30 improvements, Superfast Broadband, the University and whole host of other spending items that elsewhere would naturally be seen as central government's duty to fund but aren't. I've read all sorts of promises that Cornwall's EU funding could be replaced by Westminster in the event of Brexit. Frankly I don't believe them for a minute and fear that like so much Cornwall's voice would be drowned out by everywhere else lobbying for crucial funding and the end to regional funding for Cornwall like Objective One and Convergence in the past. I must confess that I get the concept of the EU, I understand the fundamental principles that underpin it. I do believe that Europe can work together and this is for the good of all. I'm proud to be voting in, not because I agree with everything the EU has ever done but because I believe in a better Europe and the UK leaving the EU will not help to make this happen. Thanks for reading and please remember to vote on thursday. Last night was the Penzance Town Council meeting that decided upon the future of Golowan. Now Golowan has a different future, to recap 7 weeks ago the festival was presumably going to be run under the auspices of the town council. 6 weeks ago the council decided to put the core functions of Golowan out to a private management company. Last night all this was rescinded and we now have a new future for Golowan. Personally I found myself in broad agreement with the principles that were stated at friday's public meeting at the Ritz. Which were to quote from my earlier blog: "That the budget cuts were unacceptable. That the new organisation must be bound by the original aims of Golowan. That the town council and councillors continues to fully support the festival whatever happens in the future (i.e. not cut it loose). That setting up a new organisation would take too long and not be able to run the 2016 festival." As I agreed with all of these I would've been delighted if last nights decision reflected all of those points. However it did not, but from from glass half full to glass half empty, the mayors recommendations as set out in the paperwork did not come into place. The incremental budget cuts of 5 thousand per year for Golowan were refused (plan was from the 15k this year to, 19,250 2016 and 14,250 2017 and 2018). There was no mention of the original aims of Golowan and there was no mention of Town Council support for the festival in the recommendations. It could have been much worse. On the point of a new organisation being set up for next year this was not listened to. Apparently it was impossible in the time-frame for the Town Council to hire a director and getting everything set for next year. (Planning a large event involves a lot of paperwork and jumping through hoops, often months in advance.) It was voted that an interim organisation will be appointed to do this very task for next year and somehow be able to do what the council can not!! It was explained that public concerns about the time-frame were addressed and now the council has moved the dates for deciding and handing over to a new organisation from the 18th of November to the 25th of November. I don't think this did address the anxieties people have one bit. This Council acknowledges the vital role the Golowan Festival plays both in life of the community we represent and the local economy. The Council will continue to actively support Golowan and any future organisation that manages it. The Council recognises the importance of Golowan's original charitable aims and will ensure any future management organisation will abide by these. The Council believes a successful future for Golowan is most likely to be achieved through a not-for-profit community organisation. Immediately after the conclusion of the 2016 festival, the Council will invite bids from as wide a range as possible of appropriate interested parties to take responsibility for Golowan from 2017. For at least the first 3 years of operation, the successful bidder will receive financial support from the Council of 25,000 pounds per year. The Council will facilitate the creation of a Golowan supporters group, on the model of the 'Friends of Penlee House' with the intention of providing a vehicle for consultation on and community engagement with the future of the Golowan Festival. This Council acknowledges the importance of Golowan 2016 as a transitional year. This Council recognises that an era of increased responsibilities for town councils requires a higher standard of adherence to administrative and financial regulations than has been the case and that therefore the Council cannot manage Golowan in the way it has done previously. This Council will therefore appoint an appropriate community organisation to deliver to deliver the 2016 Golowan festival ONLY, according to the timetable laid out below. 2 November – Committee decision. 3 November – Firm expressions of interest to run the 2016 festival will be sought from the community. Advertised on Town Council’s website. 20 November – Submissions from Community Interest Companies (or equivalents) returned to Town Council office. 24 November – Chairs’ Committee meet to review the submissions, decision taken. 25 November – Successful company informed and transference to begin immediately, to enable an event notification notice to go from the successful company to Cornwall Council before Christmas. Followed by the first SAG meeting In January to present the event management plan to Cornwall Council.